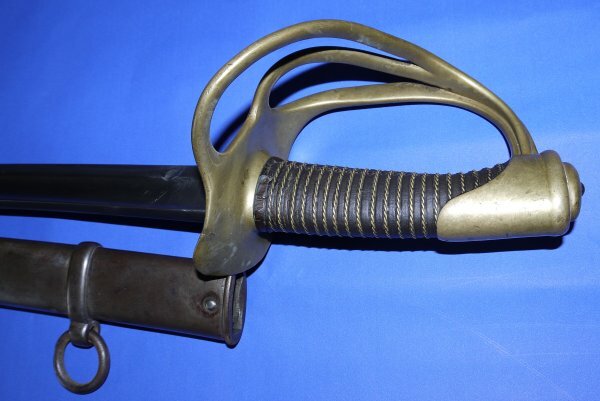 In good condition, a French 1822 Model Light Cavalry Trooper's Sabre, matching serial numbers. Likely a Prussian capture. 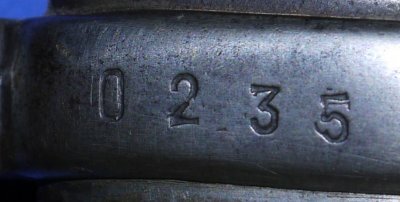 The maker and date inscription have been period rubbed, must likely Châtellerault circa 1870 during the Franco Prussian War when the workers at Châtellerault abandoned their factory as the French troops abandoned their weapons. 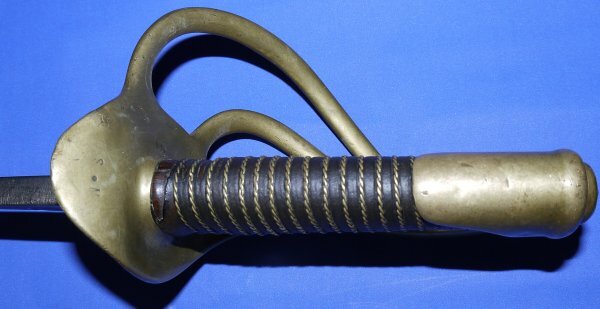 This may well therefore be a captured weapon, one captured by the victorious Prussians. 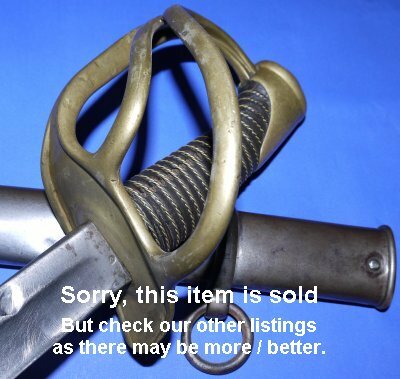 The long 35 5/8 inch blade is in good condition generally, a recess to near the forte each side (appears to be a scabbard retention feature), firm in the hilt. 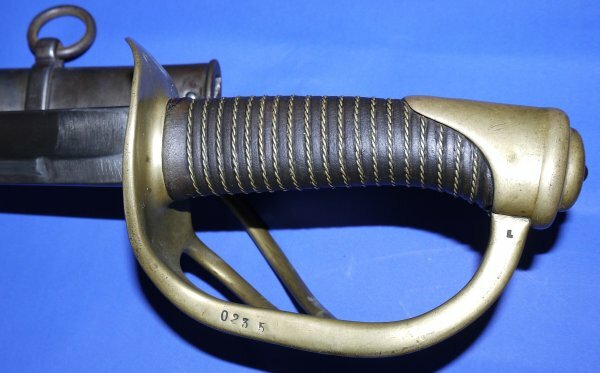 The hilt generally good, marked "S.M" to the lip which is slightly bent. The original leather grip is good, a small amount of shrinkage (these swords are very prone to this, but this one is better than most), the grip wire intact. The steel scabbard with some dings, possibly battle damage. The sword sheathes and draws well. If only swords could talk! What a great piece for just £? (too late, now sold). Please quote item reference number S43 (0657). Further / full sized pictures available upon request.